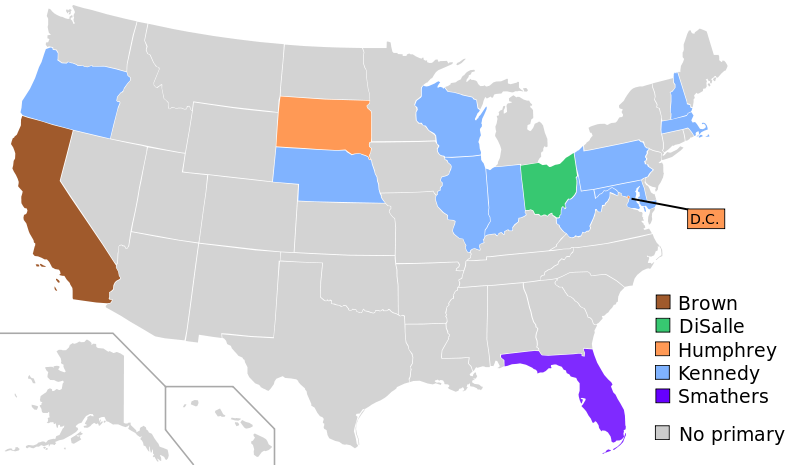 English: A map showing the states won by each contender in the 1960 Democratic presidential primaries. The original uploader was Nkocharh at English Wikipedia. 2008-03-06 17:14 Nkocharh 1020×593× (91908 bytes) Turns out the text was off on the previous one. I have fixed that.